It is mainly a personal thing, but NFL kickoff is when I consider it fall. The official calender date has no relevance to me. 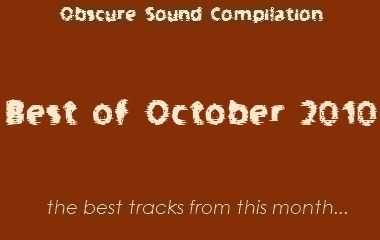 There are more autumn MP3 compilations out there than one could count, so I figure that recommending some autumn-suitable albums instead of songs would be more productive. Some will have been heralded, others will be relatively unknown. Some old, some new. Regardless, each is recommended listening in full. Mediafire, Rapidshare, and Google can help you out there, but I also included some tracks below that I feel best represent their respective album’s high points. So, enjoy the weekend and impending presence of fall. 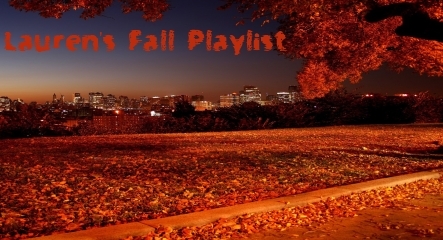 There is plenty of great music to celebrate its arrival with. 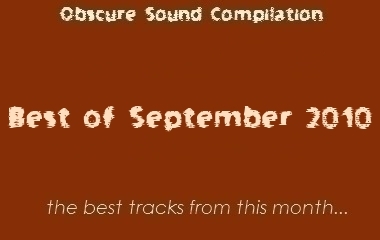 Click here to download this compilation as a streaming playlist. 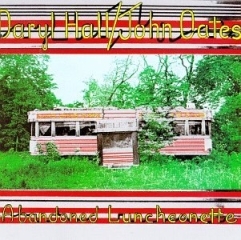 Hall & Oates will forever be ridden in ’80s-bound stereotypes, which they were certainly guilty of to some degree. The cheesy hooks and dismal fusions took pace after their masterpiece, Abandoned Luncheonette, which embodies itself as an overwhelming collection of quality soul-pop that – to many – sounds distant to the duo’s subsequent material. While “She’s Gone” is always included in their Greatest Hits, tracks like “Lady Rain” and “I’m Just a Kid (Don’t Make Me Feel Like a Man)” are severely overlooked. Sure, “Lady Rain” might sound a bit out of place i its vintage southern-rock and blues lure, but when Darryl Hall applies his soulful croon over the accentuated and drawn-out guitar twang, the listener embraces a tasteful fusion that, for Hall & Oates, occurred too infrequently after this landmark 1973 release. The power of “Lady Rain” and the breezy, autumn-laced acoustical sensibilities of “Las Vegas Turnaround” and “I’m Just a Kid (Don’t Make Me Feel Like a Man)” is hard to overlook when given the chance. Just throw the future failures and aligning stereotypes out the window for a second… Abandoned Luncheonette is one heck of an album. 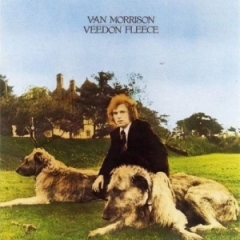 Van Morrison’s Veedon Fleece was like the last mile of a triumphant marathon performance. As usual for the Irish legend, he showed no signs of weariness either. After the release of this classic in October of ’74, he took a three-year hiatus. Three years today is pretty typical; if a group like Radiohead released an album religiously every three years, no one would complain. But for Van Morrison, who released seven classics in seven years prior to that point,it was the end of one of the most productive creative streaks in 20th century music. Said by many to be the counterpart to his legendary 1968 release, Astral Weeks, Veedon Fleece shows one of his best vocal performances, which resound in an unrestrained and unprecedented artistic delivery completely unique to Morrison. “Cul de Sac” is an amazing example of this. In regard to the album, Bill Janovitz said “one of the least known is one of his best … definitely autumnal in tone,” before calling “Cul de Sac” one of his best “gospel-soul-folk tunes.” “It still has that bit of melancholy, even though you might not have any idea what he is singing about or even the very words he’s singing,” he said. “It’s all about capturing the vibe, the spirit, the mystic.” I could not put it better myself. 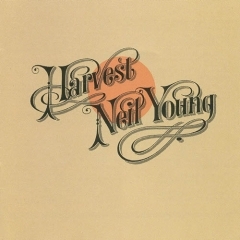 Neil Young’s 1972 album, Harvest, is an understandably popular inclusions on lists like these. Sure, the amber-ish album art and title bring to mind a brisk autumn sensation before even playing a track, but once the songs start pouring out we are again reminded of Young’s inimitable talent. To be fair, this along with his consistent style allows for most of his albums to be nice autumn list inclusions. Harvest just has the right tinge of thematic relevance to make it work here though. Fitted with an orchestra, the album is lush in presentation but with a quivering emotional charge in songs like “A Man Needs a Maid”, which confines misunderstood sentiments in a piano-laden grace before a majestically trill orchestra permits Young to stretch out his coyly invigorating vocals. Most Young albums contain a fine diversity of quality southern-rock and variations of folk, and this one is no different. With “Alabama”, a fully-charged effort that could be a “Southern Man”s cousin, we hear his infectious tendencies prevalently with a distorted Southern-cooked guitar and a sprinkle of keys that create a numbingly memorable verse. Ohhh Alabama… this anthemic gem has little to do with fall, but Neil Young is always one of the go-to’s on a brisk autumn day. 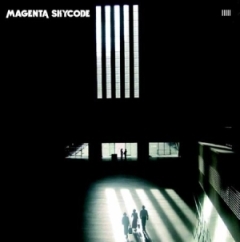 Magenta Skycode’s IIIII was my favorite debut album from 2006. The group from Finland stunned me on first listen, with a unique sound that bordered between eerie and mystical. As I wrote when including this as #11 on The Best Albums of 2006, it is ironic that the band has an interest in monochromatic photography, as their music is anything but colorless. In fact, it’s incredibly vibrant and colorful, all while maintaining to be serene and enjoyably atmospheric. Sounds like autumn to me. With an assortment of synths and gentle guitars, Magenta Skycode utilize the natural art of clapping as percussion whenever they can. It is in perfect form for IIIII, not being overused or underestimated. “Go Outside Again” is a good example of the execution, being my favorite on the album.The song initially works around a building guitar-led verse, as some beautiful synth complements the surroundings before the ascent into a enigmatically catchy chorus. Magenta Skycode never got the attention they deserved, but they seem to have a new full-length on the way. I imagine a feature in the near future is imminent for that. 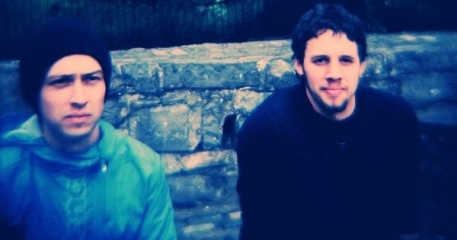 But in the meantime, enjoy these great sounds from the band’s debut, IIIII. 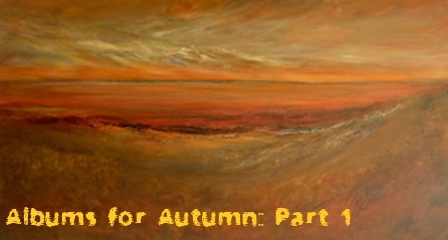 In addition to being the most impressive debut of 2006, it is a great album for autumn. 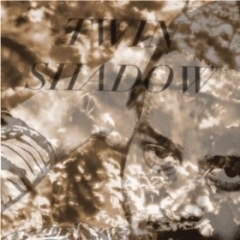 I initially thought Twin Shadow was a prank. I remember someone showed me this, on Hipster Runoff of all places, and you could see with the grainy video quality, ’80s jangle-pop in the background, and George Lewis Jr.’s throwback hair-do why I thought it was a spoof. But then the music kept going, and it was obvious that Twin Shadow is not a joke at all. In fact, his album Forget is damn impressive. Lewis shows appreciation for many artists, from Scott Walker and Morrissey to Neu! and Joy Division, but his utterly infectious songs arise from appreciation, not derivation. His original vein of songwriting, sitting somewhere between post-punk and art-rock, perfectly suits his deep and melancholic vocals. Like any album by Joy Division, The Smiths, or Ariel Pink’s Haunted Graffiti, Forget is a wonderful album for the autumn because of its delicate pop songwriting. The high-pitched vocals over the echoey keys in “When We’re Dancing” brings to mind a hundred or so lost ’80s classics simultaneously, with tracks like “Shooting Holes at the Moon” demonstrating a funky sort of electronic/post-rock fusion that is only possible from an artist able to separate himself from today’s repetitive trends. The hype for Lewis is just beginning, and I imagine it should increase exponentially this fall. A pretty perfect time considering the vein of music, don’t you think? This one would likely not sound out of place on a Halloween mix either. What is this? All old folks music? Throw the new RObert Plant and Eric Claptoon in there and it’ll look like a reitrement home. i swoon for Twin Shadow. Old Folks music??? Oh little kiddies, we call these timeless classics. And yes I agree, lets get some Robert Plant and Clapton on there. Old folks music…. haha. If they came out with these albums they would be just as good. Some excellent and apt albums on that list. +1s for Harvest and Veedon Fleece. I think Future Days by Can is an excellent album for Autumn also, and If You’re Feeling Sinister by Belle and Sebastian. Also Dungen’s (underrated) 4, Ambivalence Avenue by Bibo and Unhalfbricking by Fairport Convention, . @ adorno – great music doesn’t have a best-before date. Great sall with ‘Harvest’ and ‘Veedon Fleece’. I prescribe Wilco’s ‘Yankee Hotel Foxtrot’ for a long Autumn drive along with anything by Richard Buckner and M Ward/She & Him. ‘Comfort You’ off Veedon Fleece is a favorite song of mine – winter, spring, summer, fall – definitely some of Van’s best vocals. ‘Astral Weeks’ is the album that gets all the attention and makes all the “top 100 album” lists – but ‘Veedon Fleece’ is a true masterpeice and second to only Van’s ‘No Guru, No Method’ album in my opinion. What???????? Folk comes in and out, but quality southern-rock? Really???? Most albums??. Your audience could learn from a well researched post on Neil. Sorry but you are so far off the mark, it isn’t funny. I’m sure they can find dozens of biographies on Young or articles on the subject if they’re interested, many which detail his emphasis on southern-rock. they don’t need a site on independent music to tell them that. I don’t understand how you can’t listen to early-ish Young and hear southern-rock. sure, some albums were in territories in stark contrast to southern-rock, but for the most part there is a steady emphasis there. Obviously you have never read one. No biography speaks of him being a southern rocker. If you wish to speak of Jerry Lee Lewis or Elvis or Little Richard or such being the southern influence, then who isn’t influenced by them? Even TVOTR would admit to that, but that doesn’t mean they are southern rock! Neil did have respect for Skynyrd in answering back to his blistering critique of the south on Alabama, so there is a link and a developing friendship there, which was cut short by the plane crash. Folk rock is not southern rock. Would you consider Colin Meloy a southern rocker because the decemberists are very folky? No. You could post d a couple of songs from Trans and state that Neil is a synth rocker. Or if you posted a couple from the Everybody’s Rockin he would be a doo-wop artist. Or if you posted from Tonights the Night, he would be a straight up rocker. Or if you posted from Old Ways he would be a country and western artist. or Mirror ball he would be grunge. Thirty four albums. No disrespect to you, I like this blog. All I was politely trying to say in my previous comment was: YOU do some research. If you wish to capture what is great about today’s independent music, you should know more about the foundation you stand on. Almost all independent artists know and appreciate Mr Young. From Dylan to Rotten to Vedder to Cobain to Sweet to Jack White to Meloy to Calder to “insert hot new artist’s name here”. None would say he plays quality southern rock. I appreciate the insight. you obviously do know more about Neil Young than I do, and I hope that readers take the time to read your comment. everything there is valid with some excellent points. however, I still feel as if Neil Young can be classified as a player in both the ‘Heartland rock’ AND ‘Southern rock’ movements, both of which contain fairly flexible definitions for inclusion. arguing about sub-genres is fairly trivial for an artist like Neil Young, who has experimented in dozens of styles. so yes, I would be misinformed to classify Young as EXCLUSIVELY a southern-rock musician, but in saying that it was one element that he resembled in both his compositions and lyrics in his early to mid career is not incorrect, at least in my opinion. and for this specific album, which I believe to be one of the more accurate examples (especially on the latter half of it), I believe it applies. it’s not a southern-rock album and Neil Young is not a southern-rock artist, like some of the examples you accurately listed in your comment. it’s just present to some degree. to be honest, I could have improved the sentence with more clarity by not making it seem as if it were a pivotal influence or driving force. I apologize if that wasn’t clear.